Impressed with the new show? Take it home! This hardbound, full-color edition makes for the perfect gift or keepsake. Complete with an illuminating essay by Philbrook curator Sarah Lees, this catalog tells the story of this stunning Philbrook-originated exhibition, the first in-depth study of Cassatt, Degas, and Pissarro together. 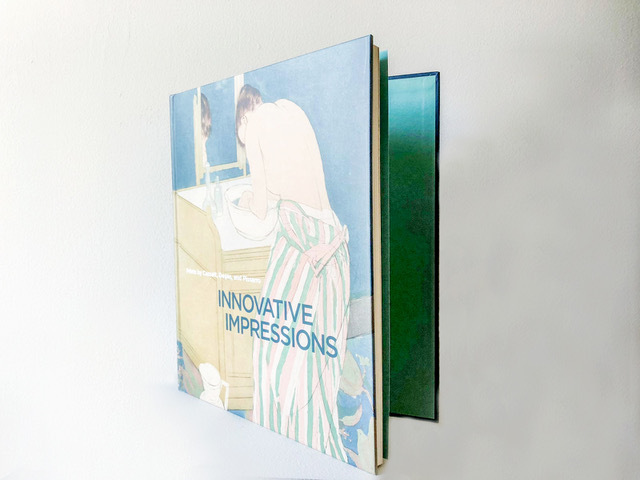 Innovative Impressions Catalog now available at the Philbrook Museum Shop. $39.95. Members save an additional 10%. Buy in person at the Philbrook Museum Shop, over the phone by calling 918-748-5304, or by email, museumshop@philbrook.org.